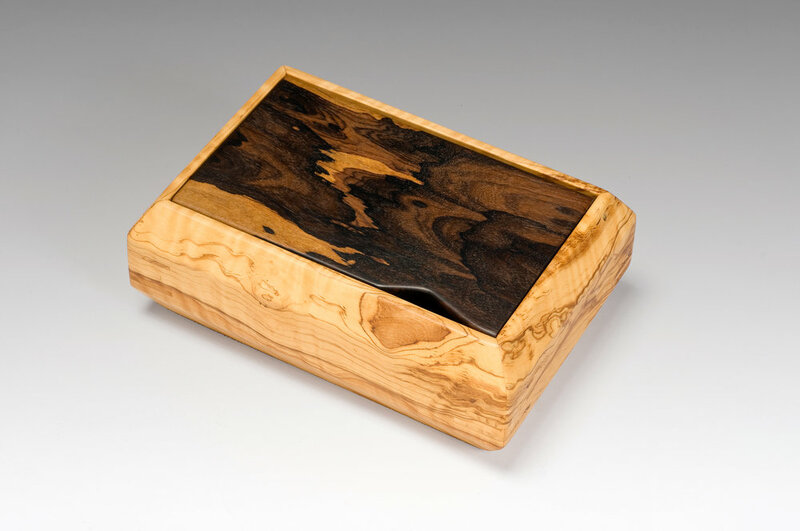 These jewelry boxes are crafted from hardwoods and lined with silver cloth. The finish is a hand rubbed oil and wax finish. 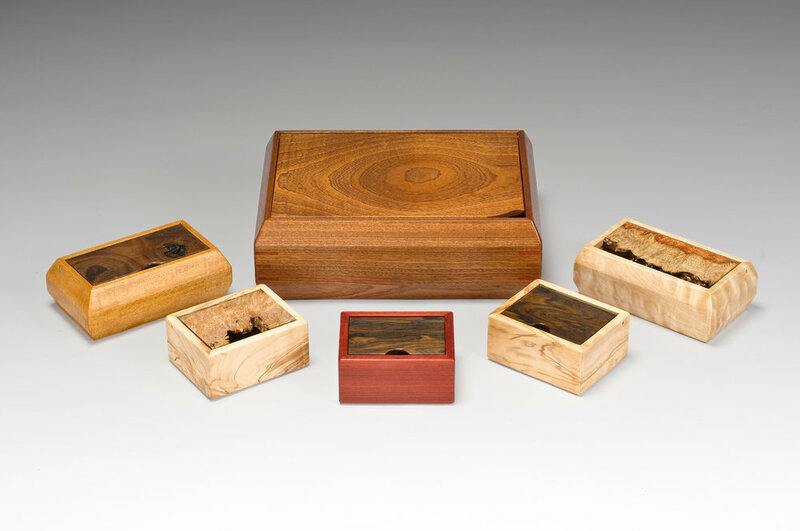 These jewel boxes are crafted from hardwoods and lined with silver cloth. The finish is a hand rubbed oil and wax finish. 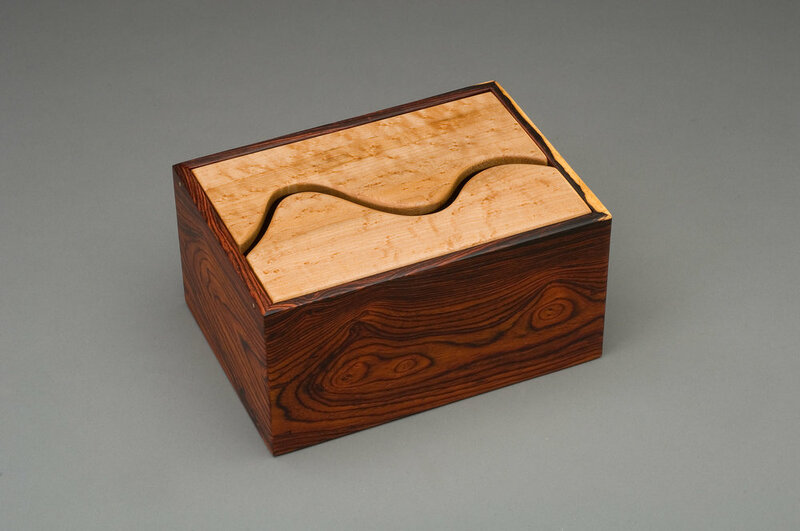 These beautiful boxes are crafted from solid hardwoods and lined with silver cloth. The finish is a hand rubbed shellac and wax finish. Boxes shown in various hardwoods and sizes.